The dazzling sophomore film from Wes Anderson is equal parts coming-of-age story, French New Wave homage, and screwball comedy. Tenth grader Max Fischer (Jason Schwartzman) is Rushmore Academy’s most extracurricular student—and its least scholarly. He faces expulsion, and enters into unlikely friendships with both a lovely first-grade teacher (Olivia Williams) and a melancholy self-made millionaire (Bill Murray, in an award-winning performance). Set to a soundtrack of classic British Invasion tunes, Rushmore defies categorization; it captures the pain and exuberance of adolescence with wit, emotional depth, and cinematic panache. $43.666 thousand on 2 screens. Back in early 1999, Rushmore earned a whole lot of hipster hype on the Internet. This didn’t translate to big box office – the flick only made $17 million in the US – but the "buzz" took hold and made a lot of people who otherwise wouldn't have seen Rushmore attend screenings of it. I'm one of them. Like many others, though, I couldn't help but wonder what all the fuss was about. I thought Rushmore was a decently amusing and entertaining little film but didn't deserve all of the plaudits it received. I don't always stick with my first opinions, though, especially in regard to comedies. As such, I thought I'd give the Criterion release of Rushmore a try. So now that I've seen the film a few times, what do I think? About the same. Rushmore is a clever, gently provocative and well-performed film but not one that does a whole lot for me. I enjoy the movie but must admit that even at a brief length of only 93 minutes, it feels somewhat long and seems to drag. I suppose that while I'll ultimately recommend Rushmore, it'll have to be lukewarm because I'm so iffy about the movie. Admittedly, I can't find any significant flaws in it. The story isn't overly creative, involving essentially a quirky love triangle; as I think the filmmakers would acknowledge, Rushmore owes some serious debts to The Graduate and strongly resembles the subtly subversive tone of that classic. This film doesn't match up with The Graduate, though it's hard for me to define why one succeeds so much better than the other. I think Rushmore simply seems more self-conscious; the participants appear to try very hard to make a Graduate kind of film so the movie seems a little strained at times. Ultimately, though, I do like Rushmore; I just can't get too enthusiastic about it. Jason Schwartzman does a fine job as Max Fischer, the nerdy 15-year-old protagonist who manages to be both an overachiever and an underachiever at the same time. While Max rarely resembles a regular teen, that's the point, and it makes those times when his age does become important all the more poignant. Bill Murray received a lot of positive attention for his role as depressed tycoon - and romantic combatant against Max - Herman Blume, and it's generally well-deserved. While I'd say this is one of Murray's best acting jobs, it's not his best performance by a long shot. I differentiate the two because Murray was spectacularly good in movies like Ghostbusters and Quick Change but he wasn't really required to “act” in those movies. They just relied on his usual brand of shtick, and were all the more successful for it. In Rushmore, however, while Murray gets some laughs, his typically cocky and smarmy persona is nowhere to be seen, and he actually has to play a person instead of a caricature. Again, that's no slam on his past work, which was brilliant and I think preferable to his performance here; it's just recognition of the different type of work he does here. Wes Anderson directs Rushmore in a competent manner, but the movie really does drag at times. It starts out well but simply scrapes along during most of the final act; it seems that although the action should heat up, the filmmakers have little left to say until they can limp along to the movie's conclusion. I felt pretty restless during the movie's last 30 minutes or so. Still, I do like Rushmore, for better or for worse, and it's a title I'll keep and revisit in the future. Will additional screenings reveal any significant nuances that so far escape me? Maybe, maybe not, but the picture's worth a few more looks. 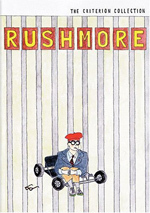 Rushmore appears in an aspect ratio of approximately 2.35:1 on this single-sided, double-layered DVD; the image has been enhanced for 16X9 televisions. Though not a disaster, the picture came with a mix of problems. Sharpness tended to be iffy, especially in wider shots. Close-ups looked decent, but anything broader lacked much definition and could seem blocky. The presence of some prominent edge enhancement didn’t helped, as those obvious haloes made the image rather mushy. I noticed no issues with jaggies or shimmring, but print flaws cropped up through the movie. These weren’t heavy, but they demonstrated occasional specks and marks. Colors were fairly good. The image’s general mediocrity tended to make them less dynamic than I’d like, but they worked better than the other elements and usually showed reasonable vivacity. Blacks demonstrated fair depth, and shadows were pretty clear. This was a disappointing transfer. The Dolby Digital 5.1 soundtrack suited the movie pretty well but won't win any awards. The soundstage appeared nicely broad at the appropriate times and could really be quite engulfing on occasion. It's a talky little film, so the focus is mainly up front, but the audio expanded when necessary. Surround usage was quite good at times, especially during Max's theatrical extravaganzas. Even general atmosphere – like at Herman’s plant – tended to be engulfing. Given the movie’s focus on dialogue, I was surprised at how much activity the speakers offered. Sound quality seemed fine. Dialogue always appeared crisp and natural, and I had no trouble understanding it. Music could be a little distorted at times, but that was clearly due to source material; most of the songs came from the Sixties and Seventies and will never sound perfect. Despite those flaws, the tunes were reproduced well and showed some good range. Effects also seemed realistic and adequate for the tasks at hand. Rushmore won't be anyone's demo track, but it worked well for the film. 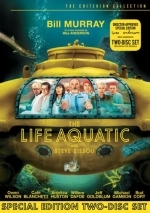 When we head to the set’s extras, we start with an audio commentary from director Wes Anderson, cowriter/coproducer Owen Wilson, and actor Jason Schwartzman. Like many Criterion tracks, each participant was recorded separately and their remarks were edited into this piece. They cover story and characters, cast and performances, sets and locations, music, and a mix of other topics. It's a pretty good chat, with a fair amount of interesting statements about the film and its creation. It does an effective job of filling me in on the details, and I find it enjoyable and stimulating. With The Making of Rushmore, we find a 16-minute, 48-second documentary. 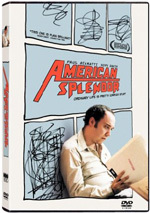 It provides a smattering of soundbites from cast and crew, but mostly it focuses on footage from the set. At times, it acts as essentially a visual credit reel; we see shots from the production accompanied by the names of the participants. That side of things gets tedious, but otherwise, this turns into an enjoyable piece. We see a lot of good bits from the set and these help allow us to get a nice “you are there” perspective. It’s not a program with a lot of information on display, but it’s fun to check out images from the shoot. A full episode of The Charlie Rose Show appears. The first 33 minutes feature Rose's interview with Bill Murray, while the final 21 minutes show Roses' chat with Wes Anderson. Rose is not a very entertaining interviewer, and I'm not sure he's so bright either; he seems convinced that the story had something to do with Max wanting his face on Mount Rushmore. Rose has a knack for provoking long discussions with participants but making them ultimately unmemorable; his talk with Quentin Tarantino on Criterion's laserdisc edition of Pulp Fiction appeared similarly flat. As such, this program might be worth a look but don't expect a lot from it. We get some basic discussions of the film from Murray and Anderson but Rose is unable to provoke much meaningful insight. (One interesting - to me, anyway - footnote: I noticed at least two times that Murray seemed to quote his own films. "Nobody likes a whiner" comes right from Quick Change, and “I’m a mudder” appears to allude to Caddyshack. The weird thing is that he didn't say these as part of his shtick or in any obvious way; they were just part of the conversation and wouldn't stand out if you didn't know his work. Auditions gives us try-outs for six of the actors: Jason Schwartzman, Mason Gamble, Sara Tanaka, Stephen McCole, and Ronnie and Keith McCawley. Schwartzman's segment shows both a videotape and a film clip, whereas the others all feature simply video shots. The collection runs a total of eight minutes, 40 seconds, and it's pretty interesting to see these early attempts by the actors, especially when their first tries are so different from the final efforts. The 1999 MTV Movie Award shorts offers four different clips that ran during that program. There's an introduction from Max, plus brief "plays" that parody The Truman Show, Armageddon, and Out of Sight. 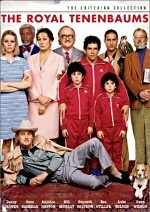 Like Rushmore itself, they aren't super-funny, but they're enjoyable and witty nonetheless. Under Archiva Graphica, we get some stillframes. These show posters, production stills, and odds and ends from the flick. Similar components pop up under Grover Cleveland Society for the Performing Arts and Rushmore Academy Productions; they show programs, pictures and other tidbits from Max’s extracurricular efforts. All are fun to see. The package’s booklet is less substantial than usual for Criterion, but it does include critic Dave Kehr's useful comments about the film plus a bunch of little cartoons from Eric Anderson. We also find a special collectible poster: with “a map of Rushmore's key events”. While I don't know how collectible it is, it does offer a fun cartoon look at the film. Does Rushmore provide a wholly satisfying character drama/comedy? No, it falters at times, especially during its somewhat sluggish third act. Nonetheless, it has enough wit and spark to make it worthwhile. The DVD offers very good supplements and positive audio but picture quality seems subpar. This is a generally solid movie but a lackluster visual presentation.